Cancer cells, including head and neck cancer cell carcinoma (HNSCC), are characterized by an increased telomerase activity. This enzymatic complex is active in approximately 80–90% of all malignancies, and is regulated by various factors, including methylation status of hTERT gene promoter. hTERT methylation pattern has been thoroughly studied so far. It was proved that hTERT is aberrantly methylated in tumor tissue versus healthy counterparts. However, such effect has not yet been investigated in PBLs (peripheral blood leukocytes) of cancer patients. The aim of this study was to analyze the hTERT gene promoter methylation status in blood leukocytes. DNA was extracted from PBL of 92 patients with histologically diagnosed HNSCC and 53 healthy controls. Methylation status of whole hTERT promoter fragment with independent analysis of each 19 CpG sites was performed using bisulfide conversion technique followed by sequencing of PCR products. Not significant (p = 0.0532) differences in the general frequency of hTERT CpG sites methylation were detected between patients and healthy controls. 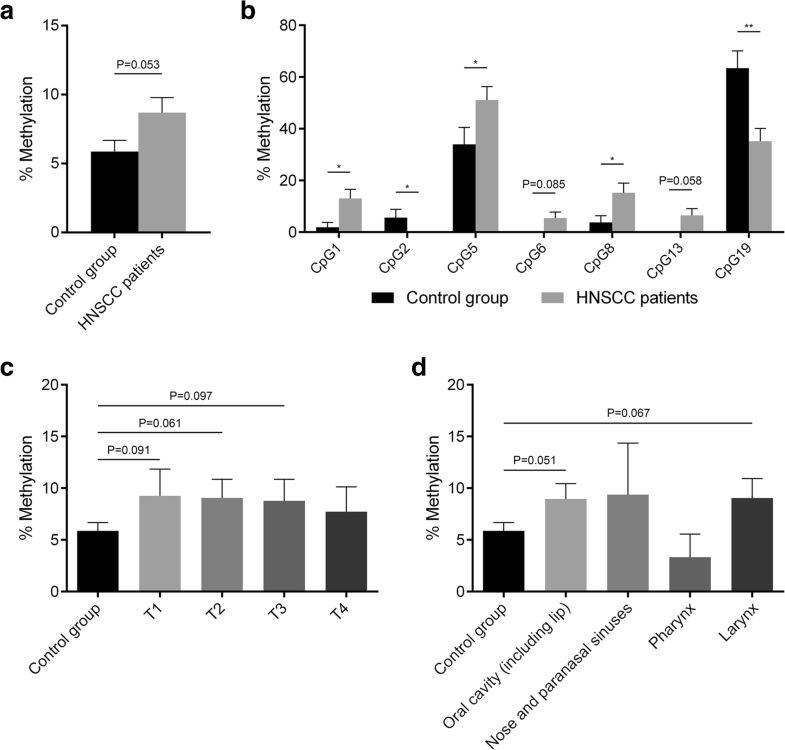 However, it was discovered that some of analyzed positions (CpG islands: 1 [p = 0.0235], 5 [p = 0.0462], 8 [p = 0.0343]) are significantly more often methylated in HNSCC patients than in controls. The opposite finding was observed in case of CpG position 2 (p = 0.0210). Furthermore, closer analysis of single CpG positions revealed differences in methylation status dependent on anatomical site and TNM classification. To conclude, hTERT promoter methylation status (general or single CpG sites) would be considered as a molecular markers of HNSCC diagnostics. Agnieszka Sobecka and Wiktoria Blaszczak contributed equally to this work. Despite significant advances in science, cancer still remains a leading cause of mortality worldwide, yielding as many as 8.8 million deaths in 2015 (World Health Organization 2017). In these terms, head and neck squamous cell carcinoma (HNSCC) is no exception, as it affects over 500,000 patients every year (Union for International Cancer Control 2014; Gorenc et al. 2015). High heterogeneity of HNSCC contributes to its often malignant characteristics and related significant death toll (Nunez Lopez et al. 2018). Early diagnosis and prevention are crucial to HNSCC burden decrease and improvement of treatment outcomes (Leemans et al. 2011), yet despite relatively easy access to oral cavity during examination, majority of cases are diagnosed at more advanced stages of the disease (Richards 2007). A gold standard in HNSCC diagnostics still remains a biopsy combined with subsequent histopathological analysis (Mehrotra and Gupta 2011). The routine pathological analysis, however, is lacking information about the unique biological potential of the tumor, its ability for progression and formation and metastases crucially determining further clinical management. Therefore, a search for accessible biomarkers, supplementing the information and facilitating personalized treatment is still ongoing. One of the most distinctive hallmarks of cancer is its unlimited proliferative potential. In over 90% of all malignancies, it is dependent on increased telomerase activity (Shay and Bacchetti 1997), which also correlates with poor prognosis in a number of cancers (Harley et al. 1990). Telomerase is an enzymatic complex, of which the activity compensates for telomere attrition accompanying every cell division (about 30–100 bp with each replication cycle) (Harley et al. 1990). Shortening of telomeres results in cellular senescence induction that suggests their tumor-suppressive role, limiting the proliferative potential of normal cells (Armanios and Blackburn 2012; de Jesus and Blasco 2013; Nandakumar and Cech 2013; Schmidt and Cech 2015). Physiologically, telomerase activity is observed during embryogenesis (Jangard et al. 2015), and in adulthood in activated lymphocytes, germs and stem cells (Kanaya et al. 1998). In human tissues, telomerase consists of two essential components: human telomerase reverse transcriptase (hTERT) and human telomerase RNA (hTR) (Sandin and Rhodes 2014; Nandakumar and Cech 2013; Schmidt and Cech 2015). However, telomerase function seems to be much more complex. hTERT gene has been reported as overexpressed in telomerase-positive cells, whereas the hTR subunit expression is widespread. Thus, it has been concluded that telomerase activity is associated with hTERT (Weinrich et al. 1997; Meyerson et al. 1997), which was found overexpressed in plethora of different cancers (He et al. 2012; Takakura et al. 1998). To date, several studies have linked HNSCC development with telomere length and genetic mutations that occur within the hTERT promoter suggesting both as potential biomarkers (Barthel et al. 2017; Borssén et al. 2011; Gao et al. 2016; Suraweera et al. 2016; Tahara et al. 2016). However, vast majority of investigators used tumor tissue samples as primary material, which significantly limits translational value of obtained findings. Recently, we have shown that shortening of telomeres and hTERT promoter mutations were identified as a common events in peripheral blood leukocytes during cancerogenesis of HNSCC patients, which could be utilized as a much more promising progression biomarker (Barczak et al. 2017). A variety of different genetic factors have been identified as crucial in carcinogenesis, and further employed in diagnostics or treatment. However, recent findings report cancer to arise as a result of aberrations that occur at not only genetic but epigenetic level as well. Epigenetic alterations—changes that despite hereditary character do not affect DNA sequence (Qu et al. 2014), generally include DNA methylation, histone modifications (through either covalent or non-covalent mechanisms), and changes mediated by non-coding RNAs (Sharma et al. 2009). Cancer-specific epigenome is characterized mostly by promoter hypermethylation and genome-wide hypomethylation (Bakhtiar 2012). Usually, the former case concerns promoters of tumor suppressor genes, thus leading to their inactivation and subsequent cancer progression (Esteller 2002; Karpf and Jones 2002). Therefore, it has been concluded that the disruption of physiological methylation profile is an obligatory event in tumorigenesis (Ehrlich 2002; Tost 2010). Contrary, situation is observed in case of hTERT promoter, where increased methylation pattern is associated with its enhanced expression rather than diminished (Clement et al. 2006; Clement and Benhattar 2005; Dessain et al. 2000; Guilleret and Benhattar 2004; Widschwendter et al. 2004; Guilleret and Benhattar 2003). Recent studies revealed a broad range of mechanisms by which hTERT expression is regulated in both cancer and normal cells (Chan and Blackburn 2004). Investigation of these activating and repressing mechanisms has become an area of interest in cancer research. The major part of this interest has focused on examination of transcription factors involved in regulation of gene expression (such as Sp1, CTCF, C-Myc). The function of these transcription regulators depends on their access to binding sites, which is determined mostly by epigenetic modifications, such as DNA and histone methylation or histone acetylation (Choi et al. 2007; Goueli and Janknecht 2003; Guilleret et al. 2002; Kyo et al. 2008; Poole et al. 2001; Renaud et al. 2005). The fact that 5′ region of the hTERT gene and its promoter are located within a large ~ 4 kbp CpG island (− 1800 to + 2200 bps in relation to the ATG site) suggests that the expression of this gene might be regulated through CpG methylation (Bechter et al. 2002; Choi et al. 2007). Given the incoherence in literature data concerning hTERT promoter methylation profile and its correlation with HNSCC incidence, we aimed to investigate whether hTERT promoter hypermethylation observed in cancer cells is reflected in peripheral blood leukocytes of HNSCC patients and could therefore serve as a useful biomarker in screening or early diagnostics. According to our knowledge, there is no literature data available concerning hTERT promoter methylation profile in PBL and its correlation with head and neck cancer development, which makes this study innovative and of high importance. The study group consisted of 92 patients (69 males and 23 females; age 26–92 years old, median = 62, mean = 62) with histologically diagnosed HNSCC at various stages and different anatomical subsites (Table 1). The tumors were staged following the TNM 7th edition by UICC. Blood samples from patients with primary tumors were collected before surgical or any other treatment. All patients were recruited from the Department of Head and Neck Surgery at the Poznan University of Medical Sciences and The Greater Poland Cancer Centre in Poznan, Poland. The control group comprised 53 healthy volunteers. The patients were Caucasians, mostly from the same region of Poland (Greater Poland). The study protocol was approved by the Ethics Committee of the Poznan University of Medical Sciences (Decision No. 915/16), and written informed consent was provided by all the participants. Following the study protocol, patients with local recurrences, second primary tumor were excluded from experimental groups. All tumors were HPV negative. Patients with a previous history of chemo- or radiotherapy were also excluded. DNA was extracted from PBL (peripheral blood leukocytes) using Wizard Genomic DNA Purification Kit (Promega, WI, USA) according to manufacturer’s protocol, and stored at − 20 °C. Bisulfite modification of 500 ng DNA was performed using the EZ DNA Methylation Kit (Zymo Research, CA, USA), following manufacturer’s instructions. Methylation-specific PCR assay was carried out in a T100™ Thermal Cycler (Bio-rad, CA, USA). The methylation status of hTERT promoter was assessed by PCR using methylospecific primers, e.g., hTERT_F: 5′-GGGTTATTTTATAGTTTAGGT-3′, hTERT_R: 5′-AATCCCCAATCCCTC-3′ (de Wilde et al. 2010) with REDTaq ReadyMix PCR Reaction Mix with MgCl2 (Sigma-Aldrich, MO, USA). 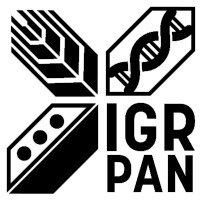 The PCR conditions in order to amplify the 224-bp fragment covering 19 CpG islands in hTERT gene promoter (Fig. 1) were as follows: initial denaturation (95 °C/3 min), followed by 35 cycles (95 °C—30 s/52.2 °C—30 s/72 °C—1 min) with final elongation at 72 °C for 5 min. After amplification assay, the PCR products were subjected to sequencing as previously described (Barczak et al. 2017). Briefly, samples were verified by sequencing using the BigDye v3.1 kit (Applied Biosystems, Darmstadt, Germany) and separation by ethanol extraction using the ABI Prism 3130XL (Applied Biosystems, Germany) in a 36-cm capillary in a POP7 polymer, using the reverse primer. Considering the fact that analyzed DNA was derived from a heterogenous population of PBL, methylation of certain CpG sites in tested samples was partial. In the further analyses, all methylated CpGs (with methylation level above 10%) were calculated as “1.” CpG positions where methylation level was below 10% were treated as unmethylated (and counted as “0”). Statistical analysis of the results was performed using the Student’s t test calculated by means of Graph Pad Prism 5. P values of less than 0.05 between the compared samples were considered statistically significant and are indicated by the (*) symbol for P < 0.05, and by (**) for P < 0.01. The general frequency of hTERT methylation status in the studied and control groups (8.69 ± 1.08 and 5.87 ± 0.81, respectively) was evaluated. Although no significant difference was observed, the difference was appreciable (P = 0.053) (Fig. 2a). Interestingly, CpG site-dependent differences in methylation status were found. The increased methylation frequency was observed in cancer patients compared to healthy individuals in case of CpG1, CpG5, and CpG8 sites (13.04 ± 3.51 and 1.89 ± 1.87 [P = 0.0235]; 51.09 ± 5.21 and 33.96 ± 6.51 [P = 0.0462]; 15.22 ± 3.74 and 3.78 ± 2.62 [P = 0.0343], respectively). Opposite correlation between study and control group was revealed in case of CpG2 and CpG19 sites (0.00 ± 0.00 and 5.67 ± 3.17 [P = 0.021]; 35.14 ± 4.98 and 63.46 ± 6.61 [P = 0.0015], respectively) (Fig. 2b). General hTERT methylation profile in relation to the tumor stage status according to the TNM classification was also determined. However, no significant alteration in methylation frequency compared to control group (5.87 ± 0.81) was observed in T1 (9.26 ± 2.59 [P = 0.0907]), T2 (9.06 ± 1.8 [P = 0.0607]), and T3 (8.77 ± 2.09 [P = 0.0965]) cancers (Fig. 2c). Separate analysis performed for general hTERT methylation status of different anatomical sites of HNSCC patients indicated its not significant increase in frequency between healthy individuals (5.87 ± 0.81) and patients affected by oral cancer (8.96 ± 1.49, P = 0.0504) and laryngeal cancer (9.04 ± 1.88, P = 0.0669) (Fig. 2d). Methylation level of specific CpG sites was also evaluated depending on tumor stage status and localization. CpG1 shows higher methylation frequency in case of T1 (16.67 ± 10.76; P = 0.0276), T3 (15.79 ± 8.37; P = 0.0231), T4 (13.04 ± 7.02; P = 0.0461), and not significant in T2 (10.53 ± 4.98) cancers compared to healthy controls (1.89 ± 1.87). A similar observation was made concerning the CpG5 site, where elevated methylation frequency was observed in T1 (66.67 ± 13.61; P = 0.0372) and T2 (55.26 ± 8.06; P = 0.0434) cancers compared to control group (33.96 ± 6.51). In the CpG6 site, increased methylation frequency was noted in T3 (10.52 ± 7.04; P = 0.0163), and not significant in T2 (5.26 ± 3.62; P = 0.0932) cancers, compared to healthy group where no methylation was observed. Those findings were also shown in CpG8 in T1 (25 ± 12.5; P = 0.0122 and 26.32 ± 10.1; P = 0.004, respectively) and T3, and CpG13 in T2 (7.89 ± 4.37; P = 0.0379 and 8.69 ± 5.87; P = 0.0297, respectively) and T4 cancer patients compared to control individuals (3.77 ± 2.61). Interestingly, opposite findings were observed in the CpG19 site, where a decreased frequency of methylation was revealed in T1 (18.18 ± 11.63; P = 0.007), T3 (26.67 ± 11.41; P = 0.0141), and T4 (28.57 ± 9.85; P = 0.0087) cancers (control group: 63.46 ± 6.61) (Fig. 3a). Additionally, evaluation of particular CpG sites depending on localization was also performed. The CpG1 site showed an increased methylation frequency in oral (12.24 ± 4.68; P = 0.039) and laryngeal (17.14 ± 6.37; P = 0.0093) cancers (control group: 1.88 ± 1.86). A similar observation was made for CpG6, where not significant gain in methylation frequency of oral (6.12 ± 3.42; P = 0.0686) and laryngeal cancer (5.71 ± 3.92; P = 0.08) was noticed compared to CpG6-non-methylated healthy individuals. In case of oral cancer patients, elevated methylation frequency was also observed in CpG5 (57.14 ± 7.07; P = 0.0186) and CpG13 (8.16 ± 3.91; P = 0.034) sites compared to controls (33.96 ± 6.51 and 0.0 ± 0.0, respectively). In the CpG8 site, increased methylation status was observed in oral cancers (16.32 ± 5.28; P = 0.0334) and sinonasal origin (33.33 ± 27.21; P = 0.076; control group: 3.77 ± 2.61). Moreover, not significantly higher methylation frequency was noticed in laryngeal cancer in case of CpG6 (5.71 ± 3.92; P = 0.08), CpG8 (14.29 ± 5.91; P = 0.076), and CpG13 (5.71 ± 3.92; P = 0.08) sites; however, none of said changes in methylation pattern were statistically significant. Opposite observations were made in the CpG19 site, where methylation status was decreased in oral (37.21 ± 7.37; P = 0.0143) and laryngeal (32.14 ± 8.83; P = 0.0095) cancers (control group: 62.26 ± 6.66) (Fig. 3b). In case of several head and neck cancer-related genes (such as SST, CXXC4, DACT2, RASSF1A, MGMT1, SFRP1, GNG7), altered methylation patterns were identified (Hartmann et al. 2012; Misawa et al. 2015; Koutsimpelas et al. 2012; Paluszczak et al. 2017; Alsofyani et al. 2017). However, most significant disadvantage of those studies was employment of tissue specimens as primary material, which limits diagnostic value of these findings due to high invasiveness during sample collection and laborious microdissection procedures allowing to select cancer cells from the stroma of the tumor. Therefore, there is a need to identify biomarkers that might be assessed in a non-invasive way, which could potentially facilitate follow-up. DNA extracted from PBLs meets all mentioned criteria, and therefore, might be a subject for such analysis. In our study, we have investigated whether hTERT promoter methylation status assessment in PBL may significantly contribute to a diagnostic workup and/or allow to determine the prognosis in head and neck cancer patients. The overall analysis of general hTERT promoter methylation status revealed non-significant trend towards increase in methylation frequency in head and neck cancer patients compared to healthy individuals. Importantly, examination of methylation levels in particular CpG sites demonstrated hypermethylation at CpG1, − 5 and − 8, and hypomethylation in case of CpG2 and CpG19 sites. To our knowledge, the use of hTERT promoter methylation status in PBLs as a diagnostic tool of head and neck cancer was never investigated before, and for the first time, it is presented in this study. Previously, hTERT methylation profile has been extensively studied only in tissue samples. Haraguchi et al. (2017) investigated the methylation and expression of hTERT in oral squamous cell carcinoma (OSCC), oral leukoplakia, and normal oral mucosa. They showed that the methylation and expression of hTERT is high in oral cancer, and therefore, may play an important role in oral cancerogenesis (Haraguchi et al. 2017). Similar observations were made by Li et al. (2015), where authors noticed that methylation statuses of selected genes, including hTERT, might be of great potential as biomarkers for early detection of oral squamous cell carcinoma (Li et al. 2015). Above findings were confirmed in different cancers. In one of the previous studies on colorectal cancer, Valls-Bautista et al. (2011) demonstrated significant increase of hTERT methylation and telomerase activity in the tumor tissues compared to the transitional and normal mucosa (Valls-Bautista et al. 2011). Their results were confirmed by Nomoto et al. (2002) and Choi et al. (2007), who also observed upregulation of hTERT gene in colorectal cancer tissue and its association with hypermethylation of hTERT promoter (Choi et al. 2007; Nomoto et al. 2002). Kumari et al. (2009) in studies on pancreatic ductal carcinoma revealed an increased level of hTERT promoter methylation in cancer specimens compared to adjacent normal tissues and samples of pancreatitis. hTERT promoter methylation correlated with telomerase expression and activity. Moreover, upregulation of both, hTERT expression and telomerase activity, conferred a worse clinical outcome of pancreatic cancer patients (Kumari et al. 2009). Similar results were obtained by Widschwendter et al. (2004), who revealed that cervical and ovarian cancer patients, whose hTERT remained unmethylated, had significantly better overall survival. Authors observed that methylation of hTERT in cervical cancer was significantly more frequent in comparison to normal cervical tissue; however, they did not find a correlation between hTERT hypermethylation and its mRNA expression level (Widschwendter et al. 2004). Wu et al. (2016) analyzing hTERT promoter methylation in gastric cancer (GC), indicated that the levels of hTERT promoter methylation in GC samples were significantly higher than in normal adjacent tissues. Authors also noticed that hypermethylation of hTERT promoter was associated with high T-stage and late N-stage. Furthermore, they demonstrated that hTERT promoter methylation level positively correlated with hTERT gene expression and along with N-stage could serve as a prognostic indicator of overall survival of gastric cancer patients (Wu et al. 2016). In our study, we also determined general hTERT promoter methylation status according to the TNM classification. We observed a non-significant trend towards increase in methylation level in case of patients with T1, T3, and T4 head and neck cancer. Similar results were obtained in the analysis of general hTERT promoter methylation status depending on the localization of the tumor. We demonstrated that hTERT promoter methylation level was not significantly higher in case of patients affected by oral and laryngeal cancer compared to control group. Methylation pattern of particular CpG sites of the HNSCC patients in comparison to healthy individuals was also evaluated depending on tumor stage status. The CpG1 site showed higher methylation frequency in case of T1, T3, and T4 cancer patients and non-significant trend towards difference in T2 cancer patients. Similar results were also obtained for CpG8 or − 13 in contrast to the CpG19 site, where the methylation level in cancer patients was lower than in control group. Above observations were not found in case of N-stage status. We also analyzed the methylation level of single CpG sites depending on anatomical localization of the tumor. In case of CpG1, − 5, − 6, − 8, and − 13 we found an increase in methylation frequency in oral and laryngeal cancer patients. Opposite observations were made in case of the CpG19 site, where methylation level was decreased in these anatomical sites. Similar results were obtained by Li et al. 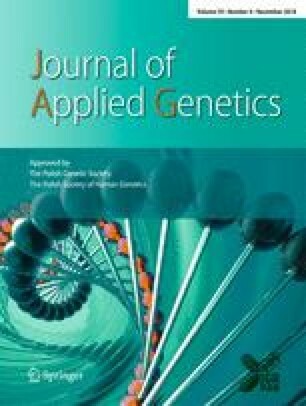 (2017) after examining hTERT promoter methylation status in PBLs of recurrent and non-recurrent thyroid cancer (TC) patients. They observed that recurrence group showed significantly higher DNA methylation level compared to the non-recurrence cohort. Moreover, in the recurrence group, DNA methylation level was closely associated with tumor stage and lymph node metastasis of TC patients (Li et al. 2017). According to de Wilde et al. (2010), investigation of hTERT promoter methylation status in cervical cancer, shows hTERT hypermethylation in 100% of analyzed cancer specimens and 38% of the high-grade precursor lesions in contrast to normal tissues, where only 5% of which presented a positive methylation pattern (de Wilde et al. 2010). Likewise, Guilleret et al. (2002) in the studies on normal and cancer tissue specimens and malignant cell lines also observed a positive correlation between hypermethylation of hTERT promoter, hTERT mRNA expression, and telomerase activity in cancer cells. Furthermore, this correlation was confirmed in normal tissues, where hypermethylation of the hTERT promoter was found exclusively in hTERT-expressing telomerase-positive, and was absent in telomerase-negative samples (Guilleret et al. 2002). These results were confirmed by Guilleret and Benhattar (2004) examining hTERT promoter methylation status in cancer and healthy tissue specimens, who observed methylation of all analyzed CpG sites of the hTERT promoter region in telomerase-positive samples (Guilleret and Benhattar 2004). We demonstrated that alterations in methylation profile of hTERT promoter represent common event during cancerogenesis in HNSCC patients. Nevertheless, based on our data, it seems that level of hTERT promoter methylation in PBL depends on stage status and anatomical localization of the tumor. For the first time, we show that hTERT promoter methylation profile (general or in single CpG positions) can be a potential molecular marker of head and neck cancer diagnostic; however, future studies with prospective long-term follow-up and extended study group are needed to determine the clinical relevance of this parameter in HNSCC diagnostics. AS, WBa, WBb designed the study, performed experiments, analyzed the data, and wrote the manuscript. PG, BR, and MMM contributed through discussions and revised the manuscript. WMS and WG reviewed the manuscript and supervised the experiments. The present study was supported by grants from the Poznan University of Medical Sciences (grant no. 502-14-02211330-41221) and the National Science Centre, Poland (grant no. 2015/17/N/NZ5/00686). The study protocol was approved by the Ethics Committee of the Poznan University of Medical Sciences (Decision No. 915/16).